Week 42 – Feeling resentful? Do this. Last week, while listening to a program about self-care coping strategies, I heard a therapist talk about what she recommends to clients who feel chronically resentful – a harmful, debilitating state of mind. Such great advice, I thought to myself, especially for people who have a habit of doing for others at the expense of themselves. Not that I know anything about that . These days, things have changed for me when it comes to resentment. After marinating in bitterness and frustration over the years, (just writing that makes me cringe), I’ve learned to remember who’s in charge of my life when I get cranky. If I’m doing something that has to be done, like helping a loved one who needs care or support, I stop the mental moaning that fuels resentment. I no longer quietly complain to myself while doing it. The truth is, life comes with obligations and commitments that aren’t always easy and we make it worse by griping about it. I’ve also learned to stop and consider, really consider, whether or not I want to do something before I say yes. And if I do say yes by mistake (which I still do because I’m human and there’s no perfection when it comes to personal growth), I allow myself to change my mind in spite of feeling like a bad girl. 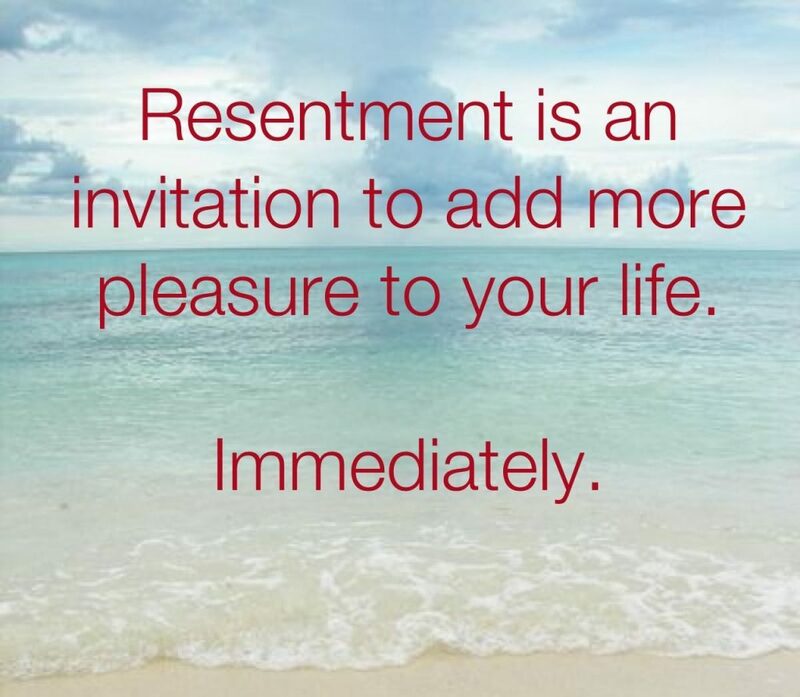 Using pleasure to mitigate or eliminate resentment. When I think about the times I’ve been resentful, it was usually because I felt like someone else was getting something I wanted – helpful support, time to rest or to create, or a spacious day without having to rush or worry. If I’d been given that simple prescription long ago (and followed it!) I would have done a better job of protecting my health, my relationships, and my sanity. So I’m taking this advice now. When I feel resentment building, I open my pleasure journal and pick something to do right away. It might be as simple as: Make a cup of tea and sit by the bird feeders. Or, it might be more substantial: Cancel plans and go for a hike instead. Not only does giving myself the gift of pleasure work, it feels good and makes me a nicer person to be around. A little pleasure for you – a woman making beautiful art. You can watch it here. Thanks, Robin .